This post is going to be very brief. I know a lot of you already know all this and more but I still have many friends who come and ask me how to access the Super User on Ubuntu Linux. They tell me that it keeps asking them for a password and then the blessed thing doesn't seem to login with their password. This is because they have set a password for themselves but not the root, though sudo would work nicely but some chaps want to be fancy and go all su on Ubuntu. So why does su not work with the password you set during Ubuntu's gui setup? This is because the super user password is NOT set. I repeat is NOT set by you during Ubuntu's GUI installation. Is it blank? No! Some random password is set for security purposes. Alright! So how the devil do you access su without going through some mucky cumbersome process of setting root's password. Et voila! 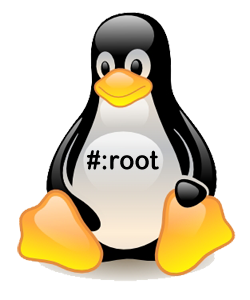 You are now in root in the current terminal session! Note: This method still doesn't set super user's password. Disclaimer: I am by no means an expert on Linux or the Unix family of operating systems. 'Nuff said. Zoit: I am a n00b at Linux.